Love creating stuff on your computer and LOVE baseball? Come hack with us! 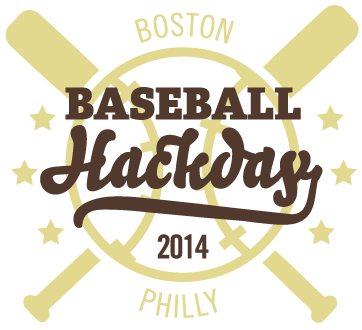 The third annual Boston Baseball Hack Day on March 2nd, 2014, is a fun, friendly one-day hacking competition for baseball fans. The event will be held at the Boston Globe, 135 Morrissey Blvd, Boston, MA, a walking distance from MBTA Red Line "JFK/UMass" stop. It is the day where area baseball minds come together and see what cool projects can be created within a limited time. The project could be (but is not limited to) a tool, app, website, or data visualization. Baseball Hack Day is a free event thanks to our generous sponsors. See what we did last year http://baseballhackday.com/2013 and two-years ago http://baseballhackday.com/2012 to get an idea. You have to be at the event to be considered for a prize. Hacks could be (but are not limited to) a tool, application, software, website, or data visualization and may be built using any programing language and platform that you choose. Teams can be of any size, but awards are only given to up to four individuals. Register for the event at Ticket Leap: http://boston-baseballhackday.ticketleap.com/2014-boston/ You do need to be at the event to be considered for a prize. For Best use of Sports Data API and Best use of SeatGeek API awards.